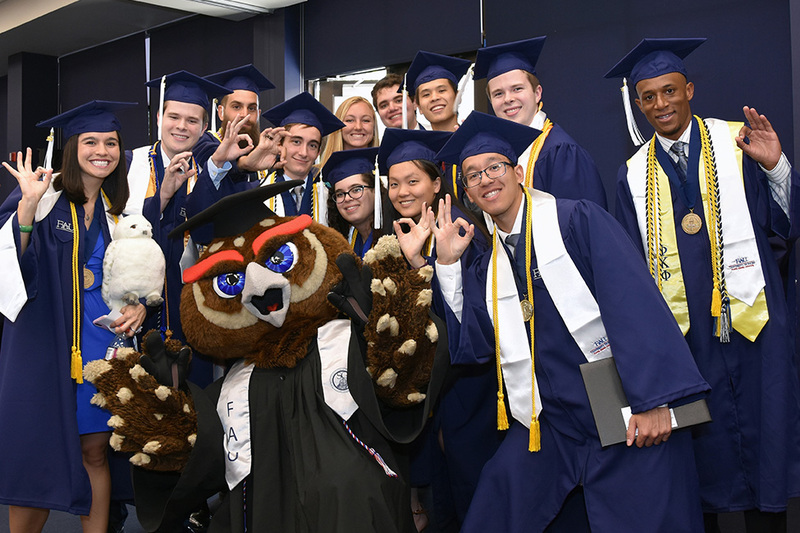 The Harriet L. Wilkes Honors College (WHC) of Florida Atlantic University recently received a top rating in the fall 2018 edition of Inside Honors. Of the 50 public university honors programs reviewed this year, the WHC is one of seven to receive the top rating, sharing the limelight with honors colleges at Penn State and Arizona State universities, among others. This is the first time the WHC has been evaluated by the independent organization Public University Honors, whose evaluation metrics include those established by the National Collegiate Honors Council. John Willingham, editor of Inside Honors, notes that the WHC is “full-on-honors,” as the College “not only offers its own degrees in a broad range of special majors but also provides honors-only courses to meet the full graduation requirements,” making it truly unique among the nation’s honors colleges. Inside Honors is published bi-annually, and rates all honors program components on a five-mortarboard scale (similar to five-star ratings for books and films), comparing the overall honors rating with the U.S. News ranking of the university as a whole. Established in 1999, the Wilkes Honors College offers a residential liberal arts and sciences experience to undergraduates on FAU’s John D. MacArthur Campus in Jupiter. To view Inside Honors Fall 2018, visit publicuniversityhonors.com/yes-we-have-a-book/. For more information about the FAU Wilkes Honors College, visit www.honorscollege.edu.